Ald. 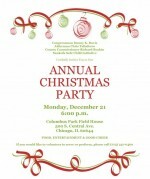 Chris Taliaferro is hosting tonight’s event at Rutherford Sayre Park, 6871 W. Belden Ave.
29th Ward Ald. Chris Taliaferro is hosting the meeting at 6:30 p.m. Sept. 6 at Austin Town Hall. All 29th Ward residents are invited to Rutherford Sayre Park, 6871 W. Belden, at 6 p.m. May 18th to discuss neighborhood developments and learn about upcoming events. n his first state of the ward address, the alderman said cooperation between residents, community groups, police officers and elected officers is critical to addressing the problems facing the West Side. 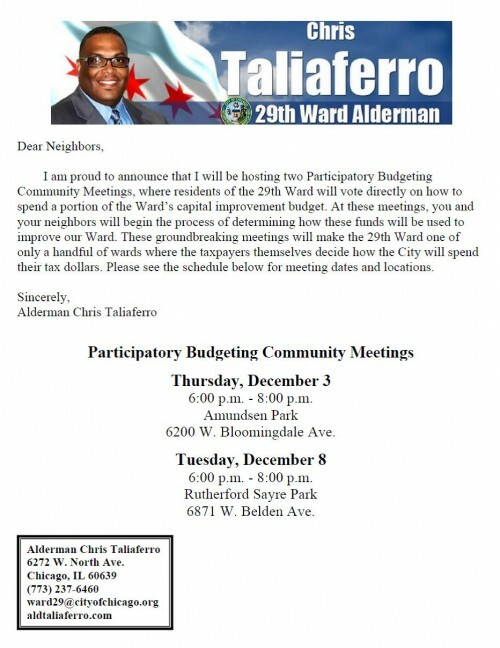 29th Ward residents are invited to attend the event 6:30 p.m. Jan. 27th at Amundsen Park, 6200 W. Bloomingdale Ave. Congressman Danny Davis, Ald. Chris Taliaferro, Commissioner Richard Boykin and Sankofa Safe Child Initiative are hosting the Dec. 21 event at Columbus Park Field House. The first of Ald. 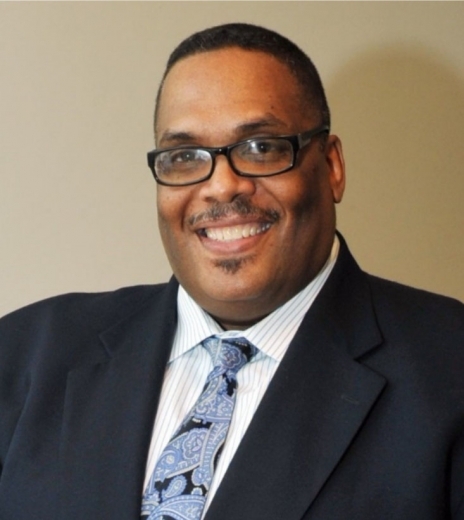 Chris Taliaferro’s two meetings about participatory budgeting will be 6 to 8 p.m. Dec. 3. Ald. Chris Taliaferro is sponsoring the Nov. 19th job fair from 11 a.m. to 2 p.m. at Columbus Park Refectory.